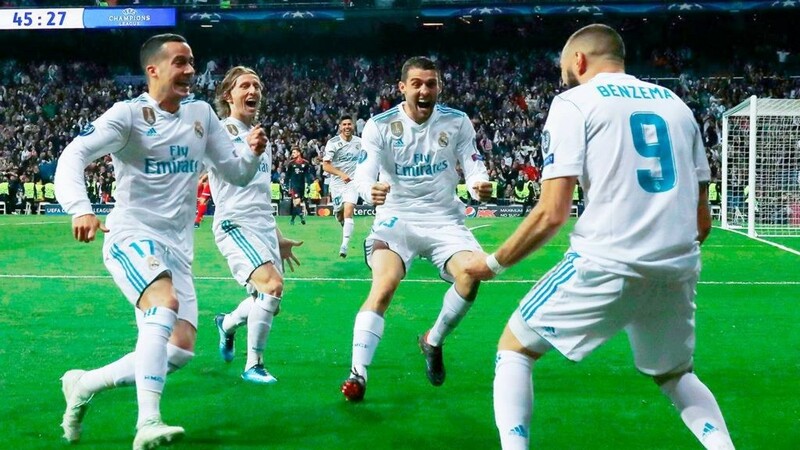 After a pulsating night of European football, reigning European champions Real Madrid reached their third successive Champions League final after they edged out Bayern Munich in a thrilling semi-final second leg at the Bernabeu. Bayern who have dominated domestically this season were trailing 2-1 after the first leg in Germany at the Allianz Arena and needed a win at the Bernabeu to reach the final but it finished 2-2 as Real clinched a 4-3 aggregate victory after holding off Bayern’s late rally. Joshua Kimmich opened up the scoring early on for the German champions from six yards out after 3 minutes, before Karim Benzema headed in for Real from a fine Marcelo left-wing cross eight minutes later. The Bayern Munich goalkeeper Sven Ulreich made a horrendous blunder which allowed Benzema, to score a simple tap-in to put Real in control, although Bayern’s on-loan forward James Rodriguez then scored against his parent club to set up a dramatic finale. He couldn’t celebrate his goal as a sign of respect for his parent club. 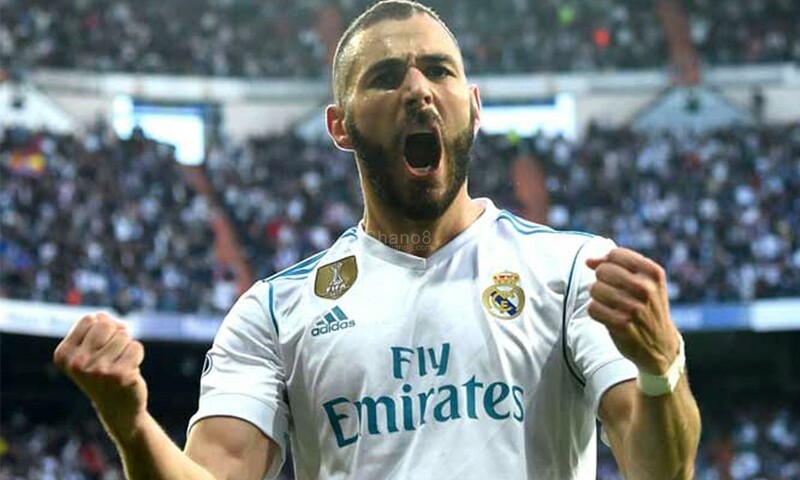 Benzema scores the equalizer to make it 1-1 on the night. The visiting side had chances to win it, but Corentin Tolisso and Thomas Muller’s efforts were saved by an alert Keylor Navas and defender Mats Hummels headed wide as the Spanish side held on. Real for their efforts will face either Liverpool or Roma in the final in Kiev, Ukraine, on 26 May with Jurgen Klopp’s side leading 5-2 before this evening’s second leg in Rome. Although Bayern have dominated domestically this season, winning the Bundesliga with five games to spare and sitting 24 points clear of second-placed Schalke they failed to break down Real for that elusive winning goal. 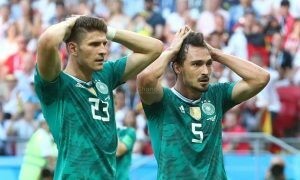 This becomes yet another failure for them at the highest level of European competition and they have now gone out in the semi-finals in four of the past five seasons since lifting the trophy in 2013. On the other side, Zinadine Zidane’s side is set for yet another record if they win it to become the first club to fin it three consecutive times. Cristiano Ronaldo To Sit Out Of Champion’s League On Wednesday.